Magazine editors are being urged to curb the use of airbrushed models in their publications. The move comes after an inquiry into the health of models found that unrealistic images on posters and in glossy magazines created an unhealthy and impossible ideal for women. The Model Health Inquiry, chaired by Baroness Kingsmill, reported in September that digitally-enhanced body images could "perpetuate an unachievable aesthetic". 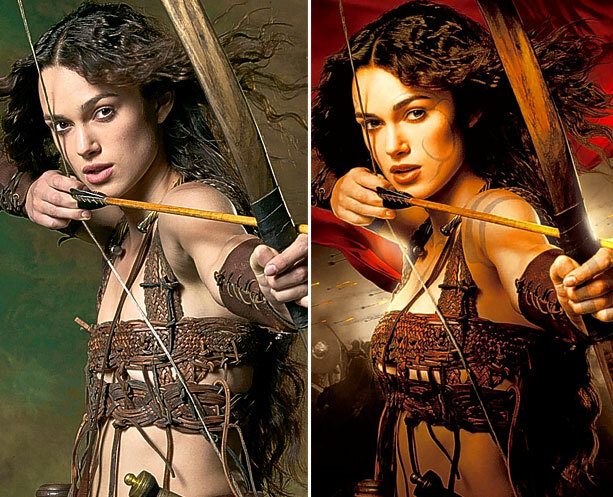 Now the Periodical Publishers Association trade body has appealed to the fashion industry to bring in a voluntary code to govern the use of "Photoshopping" - a digital process to give models unrealistically perfect figures. The PPA, which represents about 400 UK companies, has invited editors to join working groups to discuss restricting the use of digitally-enhanced photos. Influential names such as Alexandra Shulman of Vogue, Lorraine Candy of Elle, Jane Bruton of Grazia and Kay Goddard of Hello! will be invited to what is expected to be a series of meetings to decide on best practice, the Periodical Publishers Association confirmed. Representatives of the leading publishing houses and the fashion council will also attend on a date yet to be set. The move comes as an eating disorder expert today claimed society's obsession with being slim was pushing more and more people into dangerous diet-binge cycles, and sometimes bulimia. Professor Janet Treasure, of the Institute of Psychiatry at King's College London, said such disordered behaviour may permanently alter the way people's brains react to 'rewards'. They could then become more susceptible to other addictions, such as drugs and alcohol, she warned. to tackle society's obsessive eating habits. In the British Journal Of Psychiatry, she also links yo-yo dieting to the obesity epidemic. Professor Treasure said the Government needed to tackle society's obsessive eating habits. 'Although it may take time to change the "thin ideal" we should remember what has been achieved with cigarette smoking. jane fonda is IDENTICAL to my grandmother! Thanks for posting! Could you also link to the original article? wow the jane fonda one is crazy. Oh this must be though for all the celebrities, right now they will have to think twice before agreing to do a photoshoot. diana ross scared the hell outta me.. THANK GOD!! it was about time! I hate airbrushing!! Thanks for posting this amazing thread. About time. Some magazines photoshop too much that you don't even recognize the celeb anymore. What's the point? Sell an ideal of women when the woman they're advertising it with isn't even like that in real life.